Here's a good write-up on how to install gauges for your LS swap. I'd say most people are gonna want to install a Coolant Temp gauge, Oil Pressure gauge, and Tachometer. Using the block freeze plug by tapping it for a sensor. 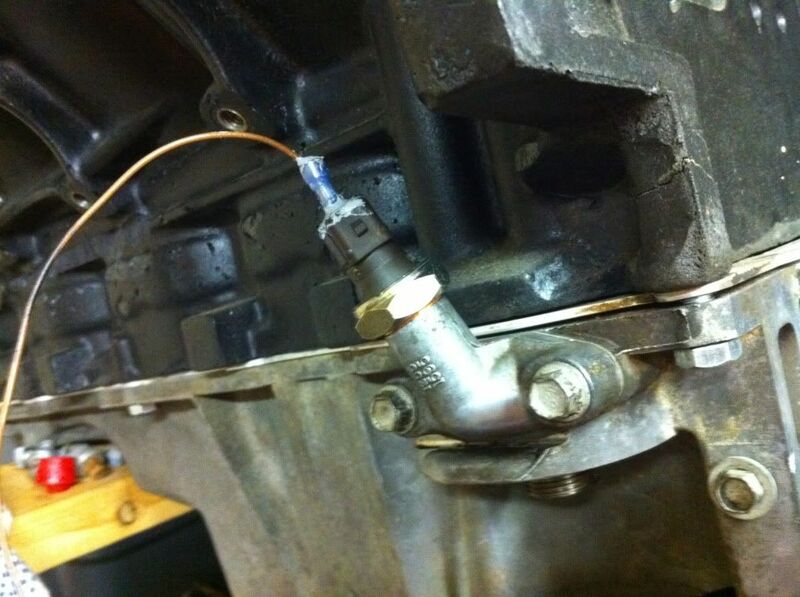 The oil pressure trick is what I used on my swap, however I went a different route on the mechanical coolant gauge. Here is the tiny metric hole..
And here it is installed along with the proper size drill bit and tap. i like what you did there FBJ!! Thanks Cutlass. There is alot of little stuff to these swaps like this that typical magazines don't cover or bother to mention. They all appear to make these swaps seem easy and that everyone should do it. I had to fabricate and modify alot of stuff to make it work. Took me a solid 3 weeks working non stop from start to finish. That doesn't include getting the new 6.0 ready, and building a new 4L60E to go with it. It's the little things like this that are a big help I believe. Thanks for getting this started. This could be a great Forum section. The only adapters I'm aware of from them require you to use their gauges. I assume that's what you did here? I adapted the factory OEM NPT style gauges to a metric engine so I could keep the inside looking stock. It's old I guess, and my pictures never stay up long anyway. I guess if someone were interested in making this a sticky I could provide someone with the pictures that have the ability to post them perminantly. How difficult to install these gauges?